The great Irish potato famine -- the Great Hunger -- was one of the worst disasters of the nineteenth century. Within seven years of the onset of a fungus that wiped out Ireland's staple potato crop, more than a quarter of the country's eight million people had either starved to death, died of disease, or emigrated to other lands. Photographs have documented the horrors of other cataclysmic times in history -- slavery and the Holocaust -- but there are no known photographs whatsoever of the Great Hunger. 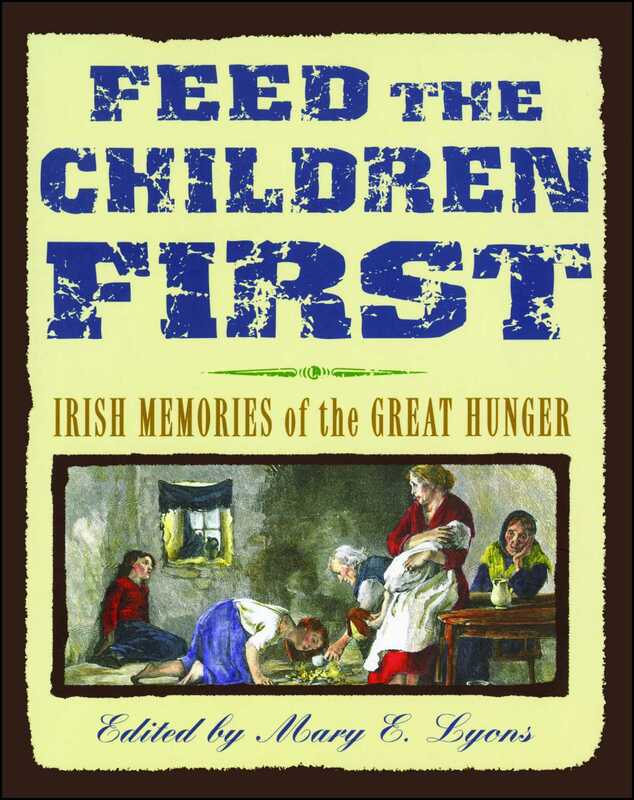 In Feed the Children First, Mary E. Lyons combines first-person accounts of those who remembered the Great Hunger with artwork that evokes the times and places and voices themselves. The result is a close-up look at incredible suffering, but also a celebration of joy the Irish took in stories and music and helping one another -- all factors that helped them endure.